Simple Kids Learning Activity to do at Home...with just a tissue! How can you use a simple tissue to help your toddler learn new words? In this video you'll learn how you can look at any object through my blueprint so that you can introduce your toddler to new vocabulary while you do normal, everyday things...like blowing your nose with a tissue. 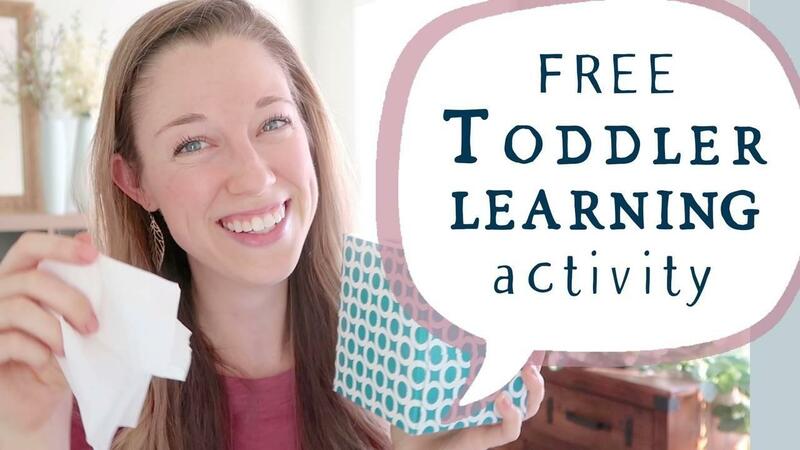 I’m Adrienne, I’m a Speech-Language Pathologist, and I help parents, like you, feel more confident and excited to make tiny tweaks to your daily life to transform mundane things into engaging, learning experiences for your toddler. If you're looking at this tissue and thinking, "What else is there to say than...its a tissue" this blueprint is for you! You can download it at learnwithadrienne.com (my gift to you)! I designed it to help you look at everyday objects with fresh eyes, curiosity, and creativity. That way, you can intentionally surround it with words and language as you explore it together with your child. This helps your toddler learn new words and enhances their sense of wonder about the world around them. You don't need fancy toys to do this. Simply grab a tissue, print your blueprint and you are ready for this. Think about how much language you shared with your child! You used a variety of words (nouns, verbs, adjectives, prepositions), phrases, sentences, exclamations, and questions. We just did the blueprint with the tissue, think of all the other things we could come up with if we talked about the tissue box! Maybe I'll make that into a video in the future. Why are these language skills important for toddlers? Well, for now, it helps them learn a TON of new vocabulary words. It boosts their curiosity because you are modeling what it is like to be curious. Remember: TELL and TEACH, don't test! Let know in the comments, what is something random that your toddler is obsessed with playing with at home? Pans, rocks, leaves, socks. You never know, your idea may be my next video! Comment below, I can't wait to read it! If you liked this video, I recommend watching this one next. Next week's video will be all about using the blueprint with fall leaves! Continue strengthening your own creative muscles and sense of wonder, because your toddler is watching you and learning from you, especially in the ordinary moments of life. You just learned something new for yourself that will benefit generations to come because...toddlers today become leaders tomorrow. You are teaching them how to communicate to connect. See ya next Tuesday with my video about how to use the blueprint with crunchy fall leaves! *As always, supervise your child throughout the activity’s entirety. 👉🏼 Like my Youtube Channel? Subscribe here!